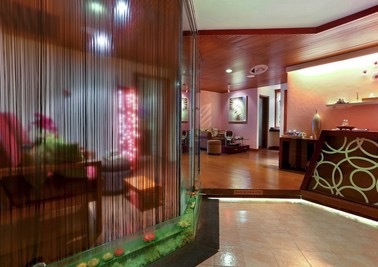 Anahita Spa at The Vira Bali Hotel offers the ultimate range of Balinese spa treatments in Kuta Bali. Pampered bliss with Balinese and oriental treatments that will soothe your soul and rejuvenate your body perfect as a start or end of your holiday in Kuta, Bali. Located on the third floor of the hotel, this haven of tranquility comprises double rooms with twin beds to enable couples to have treatments together and single rooms, and a connecting ensuite equipped with a bath.